Uruvi is the princess of Pukeya and she hopelessly falls in love with Karna, the Sutaputra and the King of Anga. In her Swayamvar, she chooses to marry Karna over the popular prince Arjuna. A Kshatriya princess marrying a Sutaputra to become his second wife was deemed socially unacceptable, but Uruvi is not the one to cave in under societal pressure. 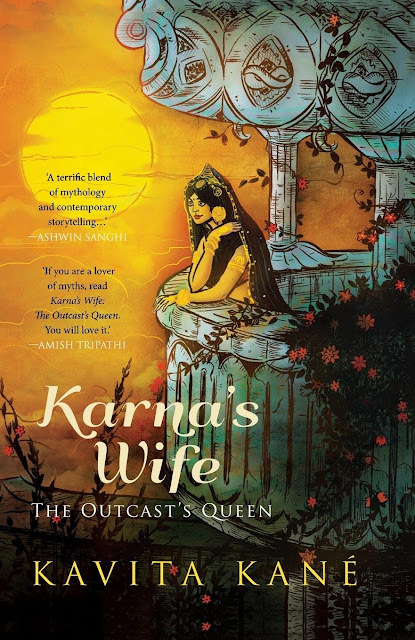 As she ties the knot with Karna, her otherwise perfect world is shaken and in the time to come, she has to bear the brunt of making the bold choice. 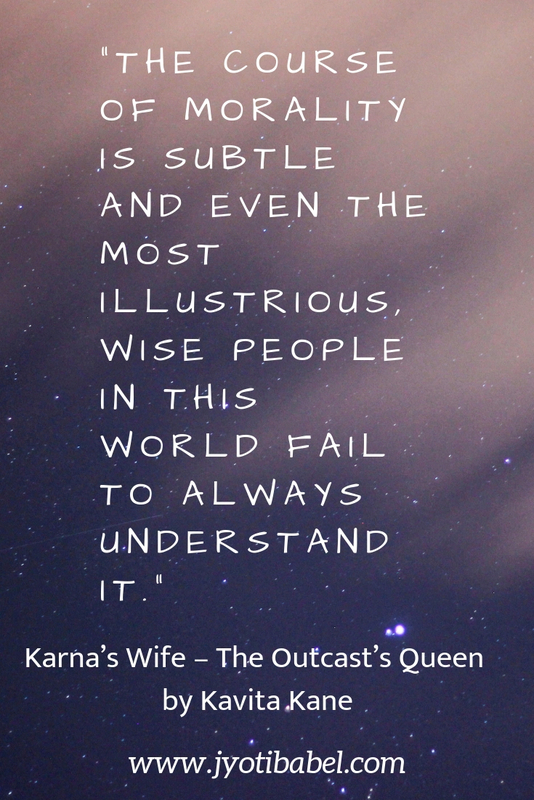 Through her devotion and intelligence, she wins over the love of Karna but can do little to influence his husband’s blind support to the evil Duryodhana. Karna’s allegiance to the Kuru prince eventually brings about his doom and Uruvi can do nothing but grieve the loss. I had a mixed feeling after I finished reading the book. Some of my expectations from the book were met, but there were parts of it that didn’t satisfy me as a reader. The character of Karna is explored from many angles – he is a charioteer’s son and though he excels in all the skills that characterize a warrior, he is still looked upon as an unworthy sutaputra. He is shown as a devoted son, a loving father, a caring husband, a mighty warrior, a just king and a loyal friend. But the rebukes he faces for being a sutaputra makes him bitter, especially towards the Pandavas. His friendship with Duryodhana, the insult he faced at the hands of Draupadi at her Swayamvar, fuels his hatred further. The character of Uruvi is fictional and the author’s own creative license. In traditional telling of the Mahabharata, Karna had several wives and the first one among them was Vrushali. Vrushali does have a role to play in this novel but she never comes to the fore. I wonder why the author chose a fictitious Kshatriya princess over Vrushali to tell Karna’s tale. Also, the fact that Karna is a sutaputra and he always had to suffer due to this has been ranted about over and over throughout the book. I mean – we know that already, so the point is already taken – saying it, again and again, is not a great way to get to the point. I also had a problem the way the author deals with Karna’s behaviour at the game of dice where Draupadi was disrobed. It sounded ridiculous that Draupadi forgives him in the end, but Uruvi is not able to come in terms with his husband’s behaviour. It seemed like the author meant just meant that Karna was a righteous man, but he happened to be at the wrong place at the wrong time. Karna is an enigmatic character in Mahabharata and his persona is explored well in the novel. However, I did find the narration a bit drab and monotonous at times. I think I have read too many books centring Ramayana and Mahabharata, so that might have upped my expectations. If you are a newbie to this genre of books, you might find Karna’s Wife – The Outcast’s Queen by Kavita Kane more interesting. I will leave you with a few quotes from the book.